* All prints measure 20″ x 24″. Fine Art Paper Editions measure 16″ x 19 1/2″ with approx. 4″ graphic border. ** EMS / Paramedics: order by phone to a receive 10% discount. *** All Canadian orders must be received by phone. Whether it be a cold snow storm or thunderous rain showering down as the clouds spirals in formation of a tornado. Their ambulance will battle through to arrive on scene of any and all medical emergencies. 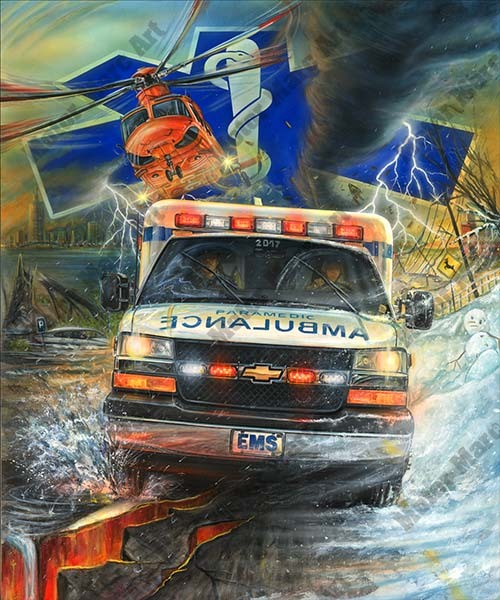 Motor Marc’s second EMS tribute painting captures the essence of what our street heroes go through. When we are in the comforts of our home, highly trained paramedics respond quickly to frantic calls, risking their lives to save ours. 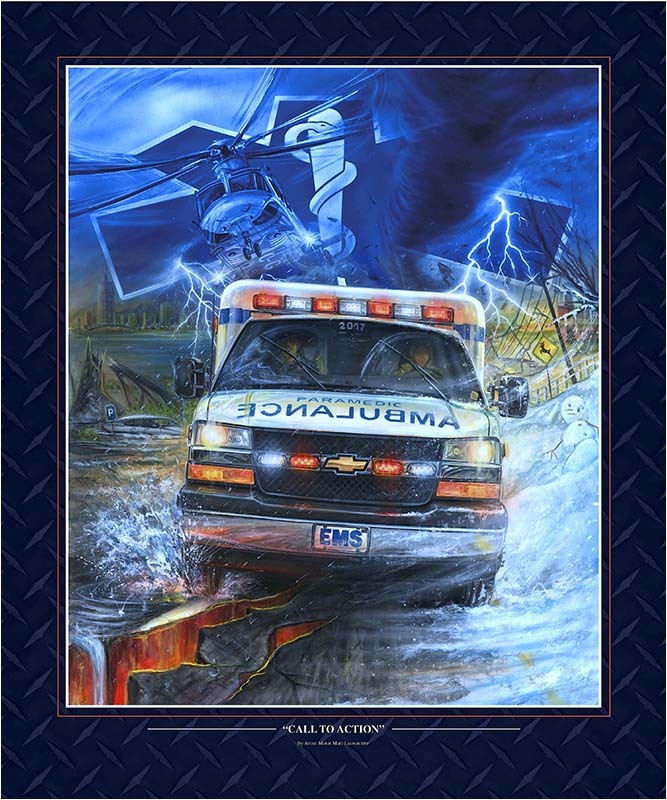 Whether by land or air, emergency medical services are called to action 24 hours a day 7 days a week no matter what road conditions they must face. All Canadian orders must be called in. Please call (866) 902-7779 or (519) 735-7779.